Nicole Whippy is a New Zealand actress. She is best known for her portrayal of Kasey Mason in the hit comedy-drama Outrageous Fortune. From 2011 to 2014, Nicole played hard-nosed Michelle Hardcastle in the series Nothing Trivial, for which she was nominated for Golden Nymph Award for Outstanding Actress in a Drama Series. She provided the voice of “Navali” in online video game “Path of Exile”. Whippy’s other notable works include Jackson’s Wharf (1999–2000), The Strip (2002–2003), Being Eve (2002), Mercy Peak (2003), Orange Roughies (2006–2007), and Auckward Love (2017). 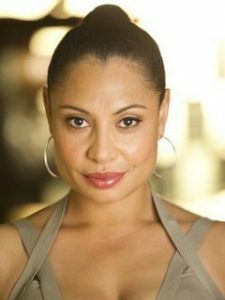 Born on September 23, 1979 in New Zealand, Whippy is the 1999 Unitec acting graduate. She got her break on Jackson’s Wharf, and played guest roles on The Strip and customs drama Orange Roughies. *She was born on September 23, 1979 in New Zealand. *In the campaign for the New Zealand general election, 2011, Nicole attended a policy launch by the Green Party. *She has a daughter named Pearl with partner Tom.